For the part about the festival, I’ve found a few good documentary clips and also am transcribing an interesting and amusing piece of writing from a favorite book. I am going to retreat a bit from writing here because I think these items tell us a lot by themselves. And these following paragraphs describe a dark side that actually occurred to me as I watched the crushing, pushing crowds shown in some of the video footage above. When I looked at those scenes, I thought, this is a great event to praise from afar, but what if I were stuck in the middle of it and I realized that I really did not want to be there? Ms. Brown’s passages describe the nightmare that could be, though the writing is full of good dark humor, and we can see that she still has some strange affection for the experience in retrospect. The bazaar is packed with pilgrims, most of them highly charged young men. Maha is saying a prayer beneath a giant pole surrounded by candles when she’s interrupted by a sudden surge in the crowd, and we are pushed on toward the mausoleum. Too many people are squeezed together here and I’m worried about the mass crushings that are sadly common at religious events like these. The men are working themselves into a frenzy: assembling in groups, waving flags, jumping up and down and shouting incoherently. They surge forward from the bazaar, through a passageway, and into the square directly before the mausoleum. Maha and I stop in the passageway to buy flowers from a stall to throw on the shrine. The flowers are beautiful: pink, heavily scented, and strung on a thread like a necklace. We lean against the wall of the passage as a wave of men push through. Moments later we are not leaning against the wall but pressed tight against it. Some of the men’s faces are angry; some are frightened and shocked. They push this way and that, scaring others who push too. I think I can escape by climbing over a wall, but I can’t lift my arms because the press is so intense. My bangles snap against the bricks and the glass cuts into my arm. The pressure is so intense that I can’t breathe and I think my ribs will snap as well. Maha’s eyes are full of panic as we are propelled slowly toward the mausoleum, scraping against a wall until we are ejected from the passage and can breathe once more. Hardly an inch of space is left in the courtyard that’s not thick with pilgrims. We’ve removed our shoes to show respect: we left them with an old woman and I wonder if we’ll ever see them again. Many of the pilgrims are in a trance. On the right-hand side is the ladies’ area. Some have babies and young children. I recognize a few of the faces from Heera Mandi. Many are praying. Dozens of the female devotees are honoring Shahbaz Qalandar by imitating the illustrations of him that are sold in the bazaar: they sit cross-legged or twirl around, undoing their hair and tangling it so that it swings from side to side in matted strands. Most of the people in the courtyard are men: poor peasants and laborers. Their fervor increases the closer they get to the mausoleum: dancing with their arms in the air and shouting so loudly that I have to scream to make Maha hear me. A few of the men are spinning like dervishes, and Maha gestures toward them. “They’re like Shahbaz Qalandar. It’s the hashish,” she says. There are later parts of her description that are even more grim, but the quote above should suffice. When I looked at news of the event during the past two years, I also saw reports of nine or a dozen or more people dying from heat stroke each time. So, the great celebration is obviously far from ideal, and it could be risky for some. (At least, thankfully, I have not yet seen any news of about this particular event being attacked by the revelers’ terrorist opposites.) Nonetheless, these celebrations of Lal Shahbaz Qalandar certainly are fascinating, and they have inspired some wonderful music and dance – the main reason, of course, why I like to give them so much attention, myself. Although I am an agnostic (with distant Jewish heritage), I also feel as though I am an emotional/musical devotee of Lal Shahbaz Qalandar because of this incredibly compelling song, which I am sure has made millions of other people want to be worshipers of the red-robed Sufi saint, too. Incidentally, the “red-robed one” is also referred to as Jhulelal – which is actually the name of a Sindhi Hindu god, but the two figures were apparently mixed together as Hindus switched to Islam or maybe as some Muslims switched to Hinduism – it is a bit confusing… But Lal Shahbaz Qalandar was actually known for bringing the two groups together and for bringing peace and harmony between them. This poem was initially written by the 13th Century Sufi poet Amir Khusro, but it was modified by the 18th Century Sufi poet Bulleh Shah, who is the one who actually made it specifically about Lal Shahbaz Qalandar. (By the way, I probably got that information first from Wikipedia; their post is pretty readable and to the point.) The lyrics are said to be full of cultural symbolism, but basically, they comprise a colorful praise of Lal Shahbaz Qalandar for being the great protector of Sindhi people. For a good viewing of the lyrics in Punjabi and English, I suggest going to Technology of the Heart. A lot of people know about the origins of the poem, the Sufi poets, etc. What most people don’t seem to know about is the man who composed the music for this song – that is, the music that the famous Sufi poem has been sung to by thousands or millions of people over the last several decades. That man is the Pakistani film composer Master Ashiq Hussain. 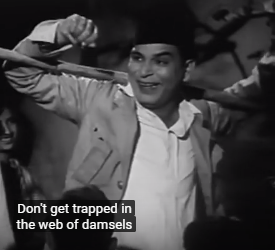 The first time Master Hussain used this song was in a Pakistani film, Jabroo, from 1956. I have been able to find one copy of this version on YouTube. As the YouTube poster “tmjatala” admits, this copy is a bit screwed up and scratchy but is well worth having and viewing for historic reasons. 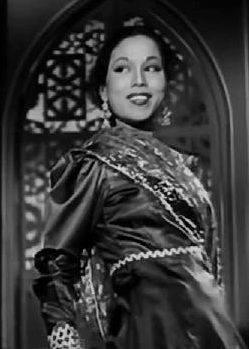 This song became much more popular – in many parts of the world – a little over a dozen years later, because of the rendition sung by Noor Jehan in the film Dilan Dey Souday, which came out in 1969. This is the version that permanently planted “Lal Meri Pat” on my mental map as well. As many know, Noor Jehan sang this song as a playback singer for two different actresses in two different dances. A lot of people praise the one by Firdous, but if I’m going to pick one version out of the movie to show, it’s always going to be the incredible performance by Naghma. Another classic film version came out about seven years later, in 1973. This time it was sung by Inayat Hussain Bhatti and Masood Rana, picturized on Bakshi Wazir, in the film Dhian Nimanian. This is a superb rendition, by the way. And, of course, there were many more film versions after that, but those were the classics that I felt I absolutely had to show (this time around). There are some contemporary film versions out, too. One, which was discussed on this blog before, is a Bollywood scene involving gangsters and a wedding. The scene, in my view, is full of contemporary Bollywood clichés, and I am honestly not that enamored with it. I’m sure that a few people know which one I’m talking about; there’s no need to go into it more here. There is a very contemporary film version that I have become enamored with… Actually, as of this writing, the film hasn’t come out yet. The film is Dhanak, and it looks very sweet. I don’t know anything about the singers or performers in this video, but they’re all pretty good. There is an English part sung along with “Lal Meri Pat” that is a sort of paraphrase of an old John Lennon song. That part is performed by a stereotypical white American hippie, and he is very funny – but not bad, actually. The part performed by the young boy is fantastic. And I’ll close with something I’ve posted before, a performance at the red-robed one’s shrine by the mostly California-based qawwali group, Fanna-Fi-Allah Sufi Qawwali Party. I’ve also seem some other performances that took place at Lal Qalandar’s shrine, but this one is particularly fun to watch, shot so well and with lots of joy put into it. And it is a good way to close this post, as a preview to Part II, where I’ll post more about the shrine and the festival. P.S. Let the main part of this post end on an upbeat note… But unfortunately, I do have something rather sad to add… I have found a video from Dawn.com (posted to Vimeo) about the musical composer, Master Ashiq Hussain, and it is not very cheery at all. 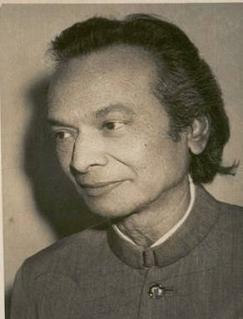 Though he composed one of the most famous tunes in the history of South Asian cinema (as well as a lot of other fine music), Master Hussain and his family were left in poverty. Unfortunately, this is not a unique story. There have been so many actors, singers, etc. in Indian cinema and – maybe more so – Pakistani cinema whose lives ended in poverty. But depressing though this video may be, it is also very interesting and informative. P.P.S. Last week, shortly after I started to plan this post, I happened upon an article at Scroll.in by my Facebook friend Nate Rabe, Mustt mustt: From Turkey to the US, seven international tributes to the legacy of Dam Mast Qalandar. Nate’s post is very different in ways, because it consists completely of contemporary international versions of the song. But he also goes into some details about the original poem, and I am sure that influenced me a little. If Nate hadn’t described those origins of the song so well, maybe I also would not have thought so much about the origins of the song. In any event, I also recommend it for the interesting music.